For those that don't know, I've been in the digital distribution business since 2008. So, it's important for me to keep tabs on the costs associated with the different aggregators (aka digital distributors). Today we will be comparing the differences. I've also tried other services such as Ditto, which is so confusing I didn't even bother to sign up. It seems Ditto is using every way possible to charge you for something and can get so expensive it's ridiculous. I've also used RouteNote but they do not pay you unless you e-mail them and ask them to and the way they report royalties is not very accurate and can get confusing. 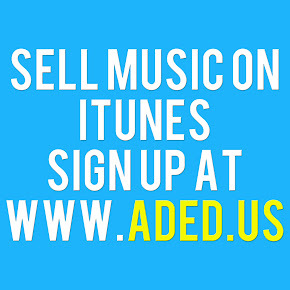 ADE Distribution will beat any price and is by far the cheapest way to go! Check them out at http://adedistribution.blogspot.com/ If you contact the owner @MakellBird on twitter he will work with you on price matching!